Depending on your requirements, we have a selection of round and rectangular tables and a number of different layouts for you to choose from. We would recommend that you visit the Hall prior to your event to meet our caretaker and discuss the various options available to you. 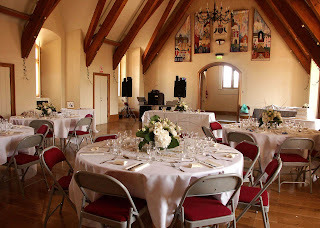 The Hall is fitted with a PA system for speeches and background music. There is also a hearing aid loop installed. A lift ensures easy access for all your guests. There are toilet facilities for disabled guests on the ground floor. 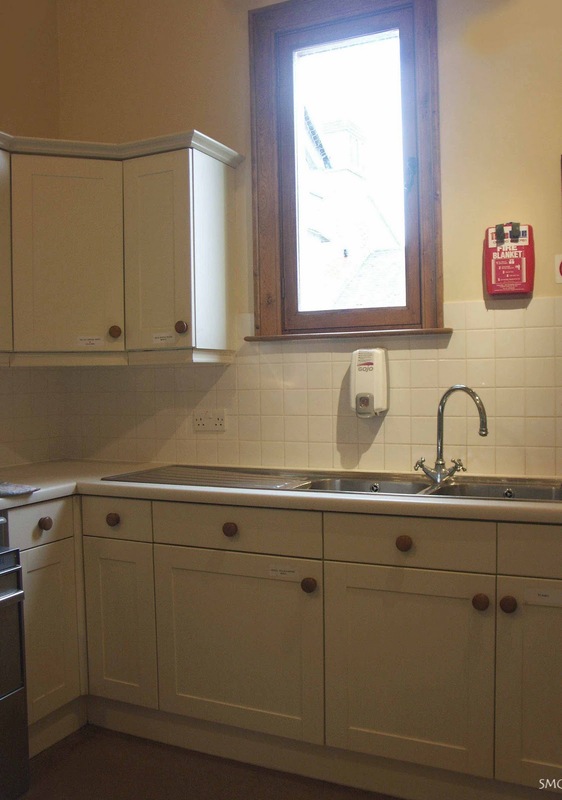 The well-equipped kitchen is available for use by yourselves or outside caterers. It is fitted to the latest standards with an industrial size food warmer, oven and commercial dishwasher. There is a large urn providing continuous boiled water and fridge and freezer facilities. The Hall provides attractive crockery for 100 place settings along with cutlery, wine glasses and tumblers. When hiring the Hall, the price for using the kitchen will vary depending on whether the kitchen is to be used solely for the making of hot drinks or for full catering. The Undercroft provides a delightful covered area to greet guests and serve pre-dinner drinks. Please be aware that the Undercroft is used on the first Saturday of every month for a local farmers' market. The Hall holds a Public Entertainment and Performing Arts Licence plus a Liquor Licence. Alcohol can be provided by the hirer or, alternatively, the Bookings Officer can provide contact details of mobile bars. There is ample parking in Pummery Square, plus an overflow car park at the end of Middlemarsh Street. Our friendly caretaker will be delighted to help you with suggestions for the layout of the Hall. He will arrange the furniture prior to your arrival and will be there when you arrive to greet you and demonstrate the Hall's facilities.